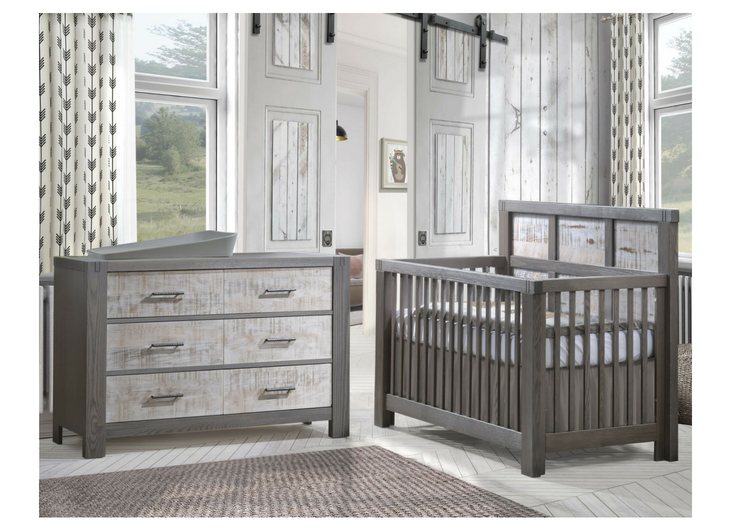 A fresh new nursery set for a boy or girl. NEW! The Rustico collection with a modern ‘facelift’ playing on Rustico’s old world charm while imparting a fresh contemporary look. Rustico Moderno has the classic elements of Tuscan inspired furniture but with contemporary lines and the modern two-tone finish of owl on white. This collection showcases Natart's new brushed finish technique, which was inspired by the natural drift process resulting from years of use. The brushed finishing process, called ‘decape’, opens the pores of the oak allowing a deposit a white patina in its grooves, imparting a mild ‘weathered’ look. This unisex collection is accented by an open mortise & tenon detail and is offered in our new ‘owl on white’ two-tone finish. 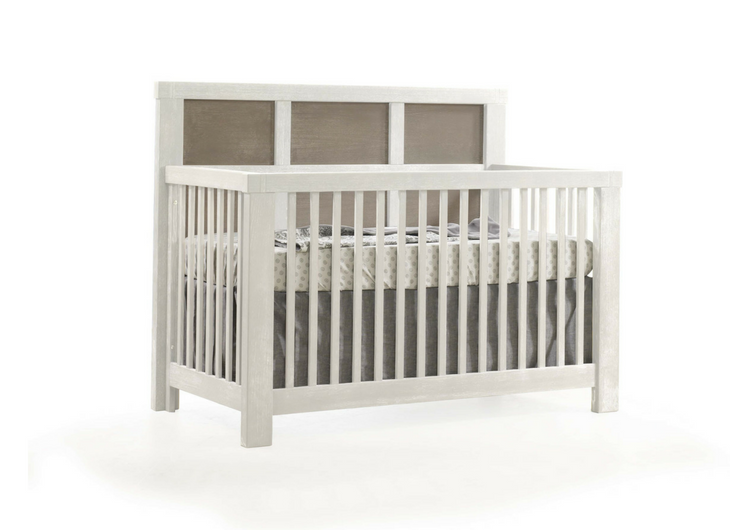 The “5-in-1” Convertible Crib is highlighted by chunky top moldings with an open mortise & tenon detail, an elegantly framed back panel and one-piece corner posts. 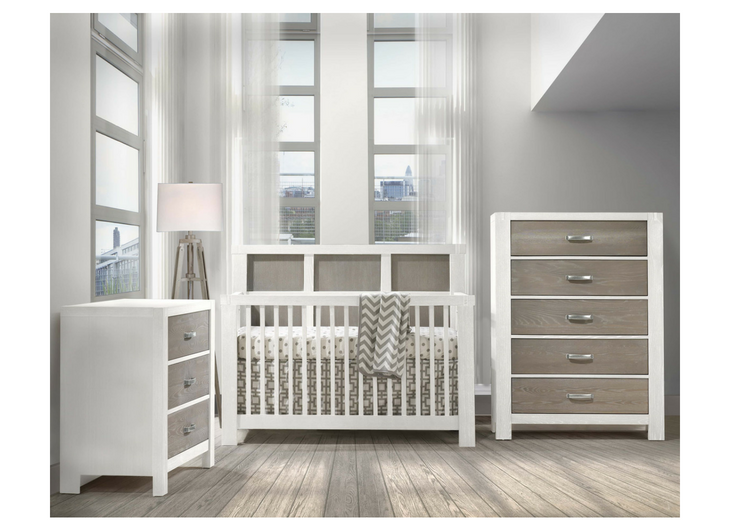 It offers long term value with five configurations: crib, toddler bed, daybed, double bed headboard and complete double bed.